Erem Bilensoy graduated from Hacettepe University Faculty of Pharmacy in 1992. She received her M.Sc. degree on Pharmaceutical Technology with her thesis on the in vitro/in vivo evaluation of recombinant human Granulocyte Macrophage-Colony Stimulating Factor loaded niosome, emulsion and liquid crystal formulations for wound healing in the same university. She obtained her double Ph.D. degree with a co-tutelle thesis between Université Paris-Sud, France and Hacettepe University in 2002 on the evaluation of amphiphilic ß-cyclodextrins modified on the primary face as novel excipients in the preparation of nanospheres and nanocapsules. Erem Bilensoy worked as assistant professor between 2005-2007 and received her Associate Professor title in 2007. She is currently continuing her research work at the Department of Pharmaceutical Technology, Faculty of Pharmacy, Hacettepe University. 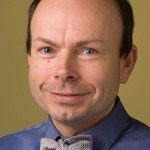 Dr. Bilensoy has served as BA/BE Evaluation Commission member between 2007-2012 and is the writer of 45 scientific articles, 8 international book chapters. She has given several invited lectures, oral and poster presentations receiving more than 350 citations with a H-index of 15. She recently edited a book entitled “Cyclodextrins in Pharmaceutics, Cosmetics and Biomedicine: Current and Future Industrial Applications” published in May 2011 by John Wiley&Sons. 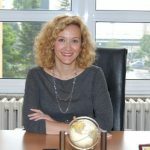 Dr. Bilensoy was awarded Hacettepe University Scientific Promotion Award for Health Sciences, METU Parlar Foundation Scientific Promotion Award and Turkish Urooncology Society Cancer Research Award in 2009 and Teknovasyon Pfizer Health Sciences Project Award in 2011 for her work on bladder cancer therapy with cationic nanoparticulate drug delivery systems. She is serving as founder member and scientific secretary for EUFEPS Network on Nanomedicine since 2010 and Executive Committee Member for European Cyclodextrin Society since 2009. She is Editorial Board Member of Recent Patents in Drug Delivery and Formulation. She has been elected chair of the upcoming 3rd European Conference on Cyclodextrins to be held in October 2013 in Turkey. Her current research interests include nanoparticles in cancer therapy, cationic nanoparticles, cyclodextrin-based drug delivery and bioavailability/bioequivalence. She is also serving as Vice Dean and Student Coordinator of Faculty of Pharmacy at Hacettepe University since January 2010. Erem Bilensoy is married and is the mother of Deniz Bilensoy aged 9. Dr. Ivkov’s research focuses on development and characterization of magnetic nanoparticles and magnetic field devices for cancer therapy. 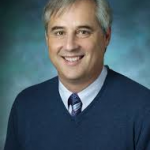 Upon his arrival to the Department of Radiation Oncology and Molecular Radiation Sciences at The Johns Hopkins University School of Medicine in early 2008, Dr. Ivkov began a broad research program with the aim to develop clinical applications of heat-based therapies for cancer. Significant components of this research are development and characterization of nanoparticle formulations and magnetic coil devices that produce therapeutic heat in animal models of human cancer, particularly when combined with other therapeutic agents. The nature of this research is multi-disciplinary and translational, and thus requires a diverse team comprising multiple skills. Frances S. Ligler is the Lampe Distinguished Professor of Biomedical Engineering in the Joint Department of Biomedical Engineering in the College of Engineering at North Carolina State University and School of Medicine at the University of North Carolina at Chapel Hill and an elected member, past chair of the Bioengineering Section , and Councillor of the National Academy of Engineering. Prior to joining NC State and UNC Chapel Hill in 2013, she was at the U.S. Naval Research Laboratory for 27 years, during the last 18 of which she was the USN Senior Scientist for Biosensors and Biomaterials. She earned a B.S. from Furman University and both a D.Phil. and a D.Sc. from Oxford University. Currently working in the fields of biosensors, tissue-on-chip, and microfluidics, she has also performed research in biochemistry, immunology, and proteomics. She has over 400 full-length publications and patents, which have led to eleven commercial biosensor products and have been cited over 15000 times with H=72 (GS). She is the winner of the Navy Superior Civilian Service Medal, the National Drug Control Policy Technology Transfer Award, the Chemical Society Hillebrand Award, the Navy Merit Award, the Naval Research Laboratory (NRL) Technology Transfer Award, five NRL Edison Awards for Patent of the Year, the Furman University Bell Tower, Distinguished Alumni of the 20th Century, and Carl Kohrt distinguished Alumni Awards, and the national Women in Science and Engineering (WISE) Outstanding Achievement in Science Award. 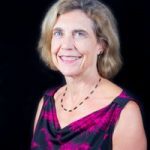 She serves as an Associate Editor of Analytical Chemistry and on editorial/advisory boards for Biosensors & Bioelectronics, (MDPI) Sensors, and ACS Sensors. Elected an SPIE Fellow in 2000, a Fellow of AIMBE in 2011, a Fellow of AAAS in 2013, and a Fellow of the National Academy of Inventors in 2016, she also serves on the National Academies of Sciences, Engineering, and Medicine Board on Chemical Science and Technology, the organizing committee for the World Biosensors Congress, and the permanent steering committee for Europt(r)odes, the European Conference on Optical Sensors. In 2003, she was awarded the Homel and Security Award (Biological, Radiological, Nuclear Field) by the Christopher Columbus Foundation and the Presidential Rank of Distinguished Senior Professional by President Bush. In 2012, she was awarded the Presidential Rank of Meritorious Senior Professional by President Obama. In 2014, she was awarded an honorary doctorate from the Agricultural University of Athens, Greece. She is a 2017 inductee of the National Inventors Hall of Fame. Igor Sokolov received his B.S. in Physics from St. Petersburg State University, Russia in 1984, and earned his Ph.D. from D.I. Mendeleev Central Institute for Metrology the Soviet Bureau of Standards (Russian NIST), Russia in 1991. In 1992, he was the recipient of the E.L. Ginzton International Fellowship Award from Stanford University for his work on atomic force microscopy. Igor worked as a research associate in the University of Toronto’s Physics and Chemistry Departments before moving to Clarkson University in 2000 to join their Physics Department, where he achieved the title of full professor and served as director of the Nanoengineering and Biotechnology Laboratories Center. During his career, he has consulted for many large corporations such as Proctor and Gamble, General Electric, Arkema Group, Inc. and Purdue Pharma. He has 138 refereed publications, including such journals as Nature, Nature Nanotechnology, Advanced Materials, etc. He holds 20 patents (issued and pending). 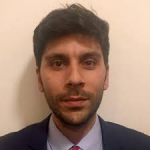 Igor’s current research focuses on nanomechanics of soft material, molecules and cells; atomic force microscopy; nanophotonics, and the studies towards understanding of nature of cancer, early detection of cancer based on altered biophysical properties; self-assembly.